Yvonne Daley had worked as an award-winning journalist and traveled widely, but had never lived in an inner-city neighborhood before moving to San Francisco in 2003. 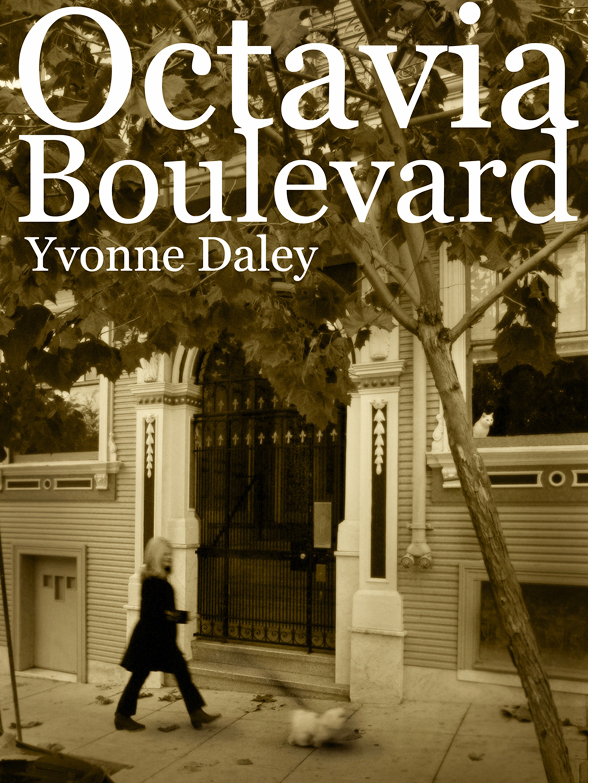 In Octavia Boulevard, we follow Daley as she chronicles the lives of her fellow apartment dwellers and the homeless people living in her neighborhood, the characters who hold forth at the corner coffee shop and the events that contribute to San Francisco’s reputation as the nation’s most enterprising and original city. Her memoir is simultaneously funny and heartbreaking as she explores the impact of the counterculture and deinstitutionalization, the conflict between progressive politics and capitalism, and her own response to people sleeping outside her door while the city spends tens of thousands to install mature palm trees and kaleidoscopes on the corner. Tag along and meet a host of quintessential San Franciscans, a Wisdom Man, a Silent Guy, a mayoral candidate running on the naked ticket, a quirky landlord, and a wise 80-year-old named Mae West.